N-SPORT SPECIAL EDITION - HARD LID - JUST BEEN SERVICED - SEPTEMBER REGO - LOADED WITH EXTRAS !! 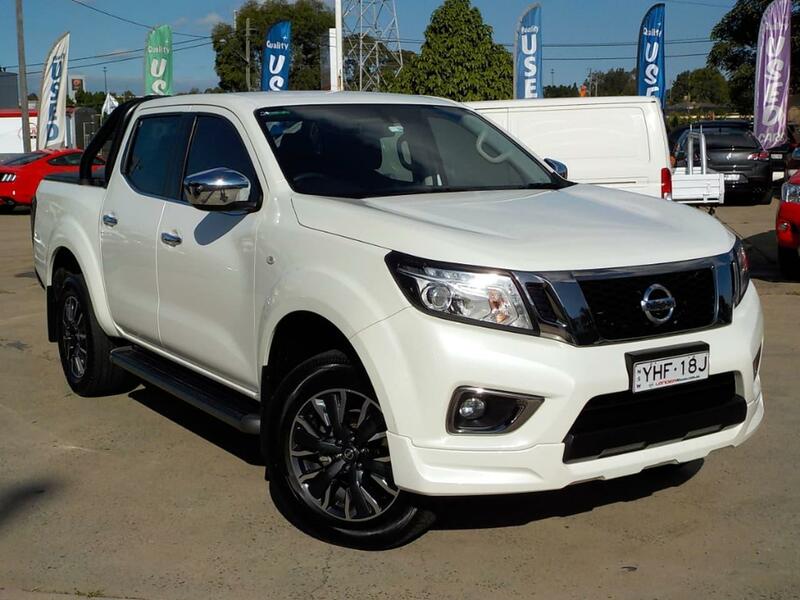 Stunning Diamond White 2017 Australian complied Nissan Navara ST N-Sport Dual range 4x4 Dual Cab 5 seat Ute. Seven speed AUTO 2.3 litre four cylinder Twin Turbo Diesel. Amazing 7L/100km combined fuel economy. 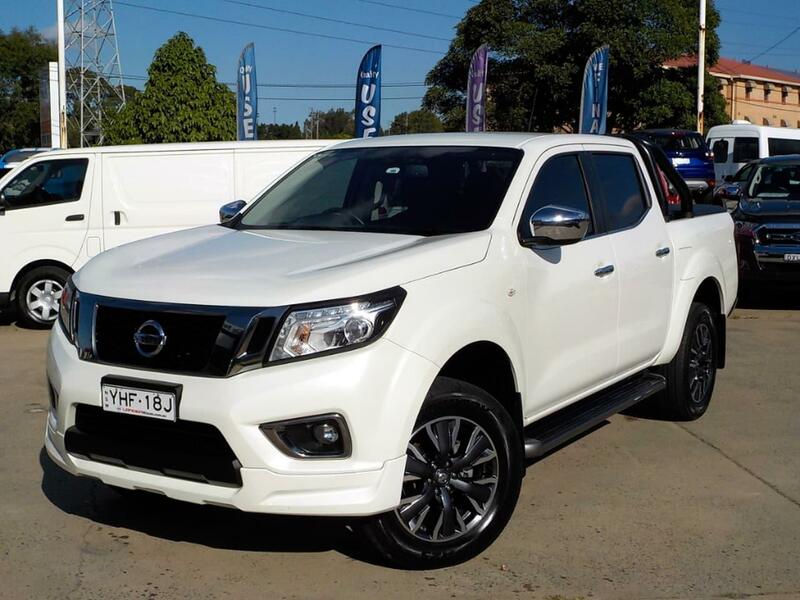 Balance of Nissan new car warranty until September 2020 PLUS this superb Navara ST-X qualifies for our FREE 3 Year / 175,000km Mechanical Protection Plan to give you peace of mind and worry free motoring in addition to the original Nissan warranty. N-Sport extra features include Leather seats, GPS satellite navigation, Rear vision camera, Sports bar, 18 inch alloy wheels, Front fog lights, Active brake limited slip, Bluetooth connectivity, Leather multi function steering wheel, LED headlights, Auto dimming rear view mirror, Traction control, Special side steps, Rear privacy glass, Heated mirrors, Chrome highlights, Front skirt, Special rear bumper, Alarm system and more. Plus Air conditioning, Remote central locking, Six speaker CD stereo with Aux and USB inputs, Electronic stability control, Traction control and Cruise control. Power windows, Power rear windscreen, Power door mirrors and Power steering, Light sensitive automatic headlights, ABS brakes (Anti Skid) and SRS Airbags. Five star ANCAP safety rating. One owner history, Workshop Checked and P-Plate friendly. Finance available at competitive rates CALL US NOW !!!! We are one of Australias largest and most trusted Dealer groups. Ask about Easy Weekly Re-Payments and over the phone Approvals. We can transport Australia wide. We will also trade your current car for a great price. This vehicle is available for immediate delivery, enquire now to arrange a test drive today.